Broker or Trader: Which Career Path Is Right for You? Stockbrokers and traders deal with the buying and selling of securities in the stock market. However, brokers also act on behalf of customers or brokerage firms, and they make money based on commissions for connecting buyers with sellers. Traders, however, deal mostly with a portfolio manager and invest using a support team that assists in handling these transactions. They typically do not interact with customers and will analyze anything that can be traded to create and pursue a strategy for investing a firm’s assets. If you’re considering both jobs, the decision on which career path to pursue should be based on your personality and background. A broker acts on behalf of a customer, thus requiring constant interaction between them. Although their job is to purchase and sell equities, managing a portfolio of someone in their twenties is very different from managing the assets of someone near retirement. They must inform and advise clients on all types of financial matters, thus acting as financial planners at times. Their understanding of a client’s objectives and goals is key in ensuring that the performance meets expectations. Therefore, extroverts who love making money on equities, talking rumors, and selling customers on ideas make for great brokers. These individuals are excellent at looking at bits of information from a trading blog or other sources, and are well connected with great customer relationships. Brokers understand the art of entertaining clients and are skilled at closing deals. Brokers generally need a formal college education and typically have degrees in business, finance, or accounting. Nevertheless, there are no specific degrees that a broker needs to hold. To get officially licensed by the Financial Industry Regulatory Authority (FINRA), they must pass the General Securities Registered Representative Examination, also known as the Series 7 exam, with at least a 72 percent score. Depending on the state where the broker is working, they may also be required to pass the Uniform Securities Agents State Law Examination. Apart from passing the exams, prospective brokers also undergo a criminal and financial background check and need to register with the Securities and Exchange Commission (SEC). Both traders and brokers enjoy trading equities. 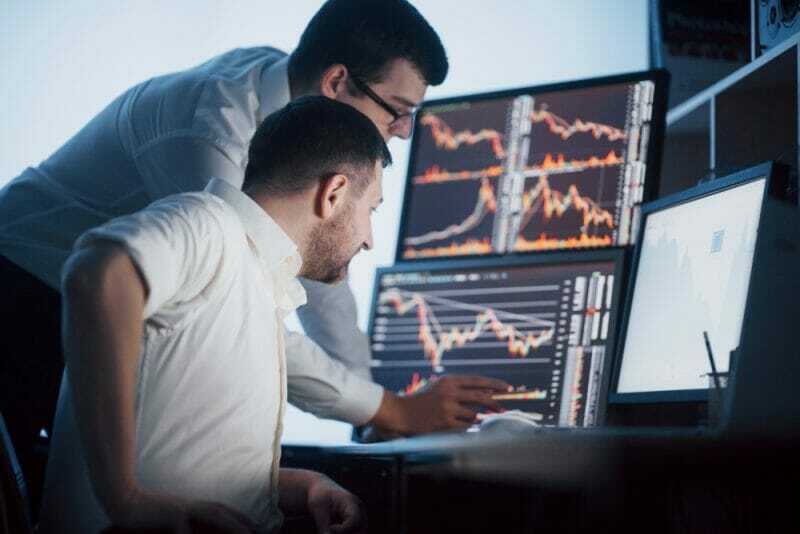 But traders more often work for themselves as individual traders, even if some get hired by large investment firms or banks to analyze potential trades independently. Introverts who love sitting in front of a computer and who understand complex mathematical procedures are ideal for this profession. The role of a trader includes tracking market movements to execute decisions. These individuals prefer to work on their own in an environment where teamwork is relatively minor. Given that a trader looks at the best possible deals to execute, their work is judged mainly on performance. Historically, traders were self-taught individuals with a passion for the stock market. However, this is no longer the case, and now a college degree is generally required to work for financial institutions. Traders typically have degrees in math-intensive majors such as engineering, accounting, finance, or (of course) mathematics. Since number-crunching is a major part of trading, this type of skill set is a necessity. Those trading on their own will not need any type of certification or license. Nevertheless, professional traders employed in a financial organization will need to obtain a license from a FINRA to execute a trade. Since part of the license involves passing the SIE exam with a 70 percent or greater and a to-off exam, candidates are often encouraged to complete a Securities Industry Essentials (SIE) Exam Prep.